The 2005 iteration of Grand Theft Auto called Grand Theft Auto: San Andreas was an interesting departure from the norm. You might even remember it from the "Hot Coffee" mod, which ended up surprising and shocking some gamers with the content it unlocked. Regardless of the controversy, however, it featured several different locales and engaging characters as well as an excellent soundtrack. 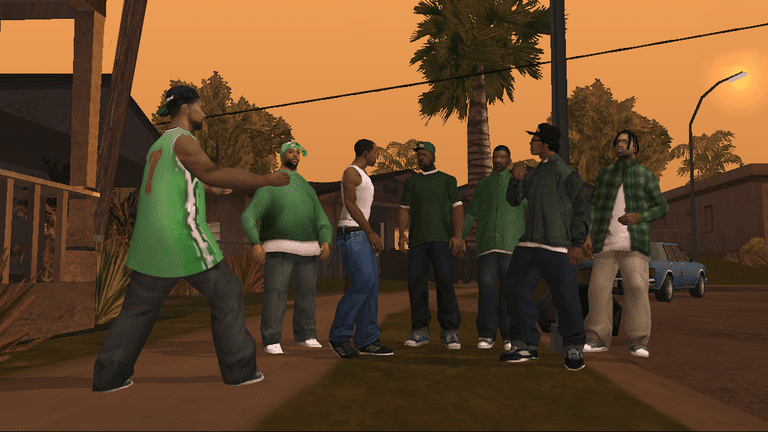 Cheats for Grand Theft Auto: San Andreas are entered during gameplay. You do not need to pause the game to enter a code. To turn off a cheat's effect, simply re-enter the code. This will work with most of the codes – codes that cannot be turned off are noted. Bikini Themed Area Cheat code: Up, Up, Down, Down, Square, Circle, L1, R1, Triangle, Down. High Jumps on Bike Cheat code: Triangle, Square, Circle, Circle, Square, Circle, Circle, L1, L2, L2, R1, R2. Pedestrian Attack Cheat code: Down, Up, Up, Up, X, R2, R1, L2, L2Note: This code cannot be turned off. Pedestrian Riot Cheat code: Down, Left, Up, Left, X, R2, R1, L2, L1Note: This code cannot be turned off. Spawn Stunt Plane Cheat code: Circle, Up, L1, L2, Down, R1, L1, L1, Left, Left, X, Triangle. Looking for Batman: Vengeance Cheat Codes?